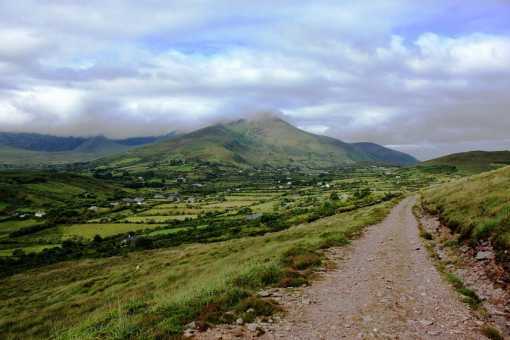 I climbed this last summer.this is part of a long stretch of mountain from glenbeigh to rossbeigh beach. actually this was the very first mountain I climbed as an 11 year old way back in 1981! It was also nearly my last as I had a serious tumble on the steep face just above rossbeigh but lucky for me my da miraculously grabbed me before I would have went head first into rossbeigh hotel 900 feet below!. so rather than let history repeat itself 27 years later I drove up around the back of the mountain starting at rossbeigh. about half a mile up the road turns south. take the next left for about 100 yards until you get to a gate. from there the walk up the dirt road is about 20 mins until you get to the top.